We provide one of the best financial services for all our customers! Desert Sun Toyota provides one of the best financial services for all their customers! In addition to quality luxury cars, you’ll receive the best financing options possible. If you’re looking to receive financial aid when purchasing a new or used car, fill out an application online, and you’ll receive your personalized loan. The Credit Estimator application can determine what your credit score is so you’ll have an idea of what your personal loan rates will be. If you have a car you’re looking to trade, Desert Sun Toyota will have it appraised and give you a fair resale value to help offset the cost of your new car. Whether you’re looking to purchase a new Toyota, a used or certified pre-owned Toyota, or lease a Toyota, Desert Sun Toyota will work with you to ensure that you have everything you need to find the proper financing for your car and create a win-win situation. 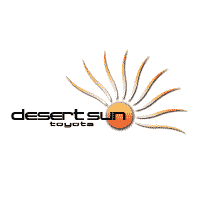 At Desert Sun Toyota your satisfaction is their top priority. When it comes to shopping for an auto loan and vehicle financing, you’ll receive the best advice from the dealership. At Desert Sun Toyota, you’re considered valuable to the relationship and they will stop at nothing to ensure you get what you need. Welcome to the family! Desert Sun Toyota will provide one of the best customer services with car sales you have ever experienced. Desert Sun Toyota is located at 3333 N White Sands Blvd in Alamogordo, NM, and serves the following cities: Las Cruces, Roswell, Ruidoso, Carlsbad, Holloman Air Force Base, NM and El Paso, TX.